From The Jacket The Encyclopaedia of Sri Lanka, first published in 2003, has been update, revised and significantly expanded. It is an authoritative reference work on the island. It is an A to Z guide, a comprehensive general aspect of Sri Lanka. It is packed with information, arranged in an easy-to-find manner and written in an easy-to-read style. There is information on places and people, history and current affairs, races, languages and religions, art and culture, economy, agriculture and industry, trade, banking and business, broadcasting, telecommunications, tourism, education and health. There are entries on caste, cinema, cricket, cuisine, ethic conflict, globalisation, land reform, population and privatisation. There is biographical information on artists, dramatics, film-makes, lawyers, musicians, presidents and prime ministers, priests and prelates, scientists, surgeons and writers. The encyclopedia will be useful in libraries, schools, offices and homes – wherever there is a need for information about Sri Lanka. It will appeal to both young and old. People visiting the country will welcome it, as will people abroad who have an interest in the country. There are over 1200 entries. There is a substantial biographical component, which serves as a Sri Lanka Who’s who. A third of the entries are on people, and a large number of them are women. The book has over 100 photographs, including 20 in colour, and a number of tables for easy reference. Charles Gunawardena was the Director of Information at the Commonwealth Secretariat in London form 1979 to 1987. he later served in the secretariat of the South Commission in Geneva and I the London office of the Commission on Global Governance. Between 1959 and 1972, he worked in information and press relations for Sri Lanka’s Ministry of Foreign Affairs, at the ministry in Colombo and in Sri Lanka’s diplomatic missions in London and New Delhi. Earlier, he was a journalist with the Ceylon Daily News in Colombo and also reported on Sri Lankan affairs for several international publications, including The Economist and the Christian Science Monitor. I 1956, he visited the USA on a fellowship from the International Press Institute. I am glad to have the opportunity of providing a revised edition of this encyclopedia first published in 2003. in preparing this edition, I have brought several entries up to data, enlarged a number of others, and made minor revisions in some. I have also introduced more than a hundred new entries; these vary from a few words to a few hundred lines. Among them are entries on such subjects as Sri Lankan English, globalisation, national honours, international schools and serendipity. There have also been significant additions to the biographical content, along with many new pictures. In working on this edition, I have been able to draw on the support of family and friends who helped me with information and suggestions for the first edition. I am especially grateful to Yasmine and Brendon Gooneratne. Manik de Silva, D C Ranatunga and Nevile Weereratne. Lalini Gautamadasa agreed to assist me with research in Sri Lanka for some months. Her commitment to the work and her resourcefulness were exemplary, and was very fortunate to have her assistance. I wish to thank Upali Newspaper for providing additional photographs. Preface I though of preparing an encyclopedia of Sri Lanka when I saw the Encyclopedia of Britain compiled by Bamber Gascoigne and published by Macmillan in 1993. But it was several years later that I found the time to start compiling on most of the subjects that people are curious about. 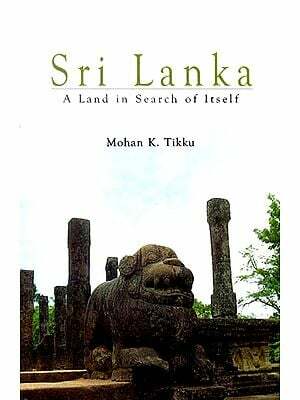 I hoped to produce a book that would appeal to the general reader in Sri Lanka, and also be useful to visitors and people abroad with more than a passing interest in the country. There is more than one way of compiling an encyclopedia. One is to invite specialists to contribute articles in their respective fields. That option would have led top a more authoritative, scholarly publication. But it was not open to me, with my resources. In the field of journalism, one is led to believe that one can write on (almost) anything. Without that belief (or arrogance, if you will), I could not have ventured in this work. The great Dr Johnson was able to claim that his English Dictionary was “written with little assistance of the learned”. My position was the very opposite. I have drawn on the work of many authors and had help from knowledgeable friends, both of whom I acknowledge elsewhere. To match the excellence of the British work that inspired me was beyond my grasp. I hope, nevertheless, that I have produced a work that is seen as going some way to filling a gap in the source of information on Sri Lanka. I hope also that it will encourage others to improve on my contribution and to add to the body of Sri Lankan reference literature. I take responsibility for the selection of headwords or subjects for entries. I have tried to cover most field of interest. Within them, I have had to determine limits: what or whom to include – or leave out, and how much space to allot. To some extent, these limits were forced on me by difficulties in finding information. Readers who are specialists in one field or another may feel I have not covered their interests adequately. It would be impossible to meet the seeds of all specialists in one general encyclopedia, which is what this book is intended to be. I have sought to achieve balance in terms of communities, gender, interests, and of past and present. My own areas of enthusiasm and of ignorance may have influenced these contents. I may therefore be open to the charge of subjectivity but I hope I am not seen as capricious or, worse, unfair. The biographical content of this publication is more substantial than it might otherwise have been because Sri Lanka still lacks sources of biographical information such as a Who’s Who. In selecting persons, I have included Sri Lankans who live or lived abroad, as well as non-Sri Lankans who have gad a significant link with Sri Lanka.